This class will dive into the major elements of script writing that are essential to getting new plays read and produced. We'll examine stage direction, dialogue, and plot formation to help your script translate clearly from the page to the stage. 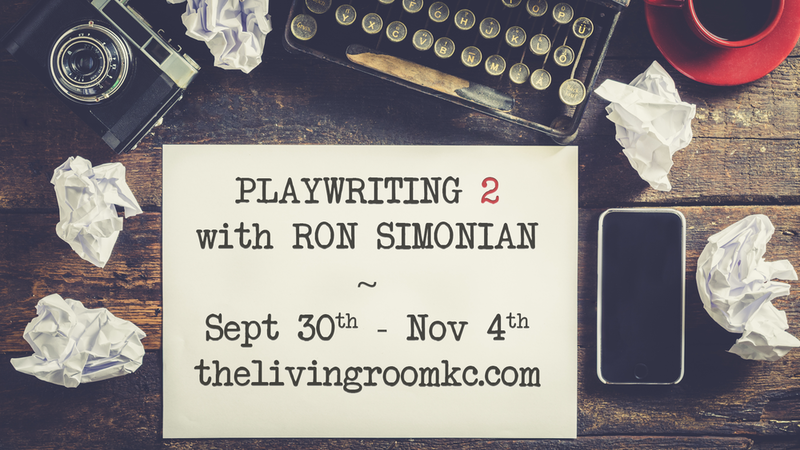 By the end of the course your completed 10 minute play will be professionally read as part of the Living Room's Writer's Den Series! Open enrollment, any experience level eligible. You can still apply or write us an email to be considered for wait-listing or future classes! Writing 2 picks up where the Intro Class left off. We'll explore the development of longer plays, with multiple characters, making use of foreshadowing and higher stakes conflict to keep the story energized throughout. We will cover the script growth from the seed of the idea to the final draft. Along that journey we'll shape and mold the play through many revisions paying careful attention to the arc of the story; and ultimately coming to terms with making cuts. We will delve into multiple character dialogue that rings true and crisp. By the end of the class your one act or Fringe length script will be ready to read as part of the Living Room's Writer's Den Series! (An appointment-based advanced class will be offered soon. Ron Simonian (Trigger Happy, Thanatos, Desert Holiday) is one of the city’s most established writers with over two decades of KC-produced originals under his belt. He is the Unicorn's most produced playwright with seven productions, and a frequent content-creator for spaces ranging from The Living Room to the KC Rep to playhouses in Chicago, California, NYC, and beyond. During last year’s Writer’s Den series alone Ron premiered readings of five new works on the TLR stage; his prolific and endlessly creative attitude is sure to inspire!